I fully expect the Government’s Census Bureau to post a mind-blowing headline retail sales number for December. Hyperbolic headline economic statistics derived from mysterious “seasonal adjustments” based on questionable sampling methodology is part of the official propaganda policy mandated by the Executive Branch of Government. But I also believe that retail sales were likely more robust than saner minds were expecting because it appears that households have become accustomed to the easy credit provided by the banking system to make ends meet. Borrow money to “spend and pretend.” The Fed reported that consumer credit hit an all-time record in November. The primary driver was credit card debt, which hit a new all-time high (previous record was in 2008). Credit debt also increased a record monthly amount in November and along with it those who borrowed may have been mis-sold Payment Protection Insurance and may require the help of someone like this PPI Claims Company who might be able to help with their claim. “Speaking of signposts, households have grown increasingly comfortable with leverage to maintain their living standards, which of course economists cheer. That’s worked for 24 straight months as credit card spending growth has outrun that of income growth” – Danielle DiMartino Booth, who was an advisor for nine years to former Dallas Fed President, Richard Fisher. The graph above shows the year over year monthly percentage change in revolving credit – which is primarily credit card debt – and real disposable personal income. Real disposable personal income is after-tax income adjusted for CPI inflation. As you can see, the growth in the use of credit card debt has indeed outstripped the growth in after-tax household income. The credit metric above would not include home equity lines of credit. At some point, assuming the relationship between the two variables above continues along the same trend, and we have no reason to believe that it won’t, credit card debt will collide with reality and there will be a horrifying number of credit card defaults. Worse than 2008-2010. “Debt service” is interest + principal payments. With auto loan and credit card debt, most of the debt service payment is interest. This metric climbed to a 5-year high during a period of time when interest rates hit all-time record lows. Currently the average household is unable to make more than the minimum principle payment per the information conveyed by the first graphic. What happens to the debt service:income ratio metric as households continue to pile on debt to make ends meet while interest rates rise? The graph to the right shows that access to credit is about as easy as it gets right now. 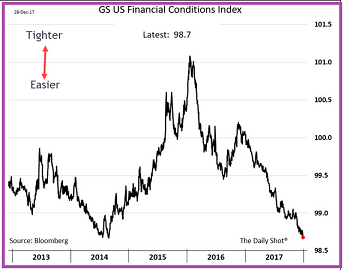 A financial conditions index (Goldman’s is not the only version), measures financial variables that influence economic behavior. This includes the supply and cost of credit. A declining index value reflects easier financial conditions. The current index is equal to the low-point of this metric going back to 1992. Unless history does not repeat, this index is set to head higher again. We are already seeing signs of this with higher interest rates, rising CPI/PPI-measured price inflation and accelerating consumer credit default rates. It has been my argument that, on average and in general, the average U.S. household has reached, or will soon reach, the limit in its ability to support an increasing amount of debt. The use of debt has prevented consumer spending from falling off a cliff. Using debt to consume does not accomplish economic growth. It simply shifts consumption from the future to the present. Unless by some miracle the average household experiences an unforeseen jump in income – enough to enable it pay down debt and continue consuming at the present level, consumer spending will hit a wall. I have no idea what kind of rigged, statistically manipulated vomit the Government is going to report for December and Q4 2017 retail sales but auto sales are already reflecting a serial decline in sales. Unless the banks open up the credit spigots even more – with reckless disregard to rising delinquency and default rates – consumer spending in general, and retail and auto sales in particular, is going to decline precipitously during 2018. This will wreak havoc on the economy. The bigger problem is going to be the rising delinquency and default rates. I suspect that this will begin to accelerate over the next 12 months regardless of Fed monetary policy. Speaking of which, I expect the Fed to begin dragging its feet on hiking rates as we move further in the new year. A portion of the commentary above is an excerpt from the latest Short Seller’s Journal. 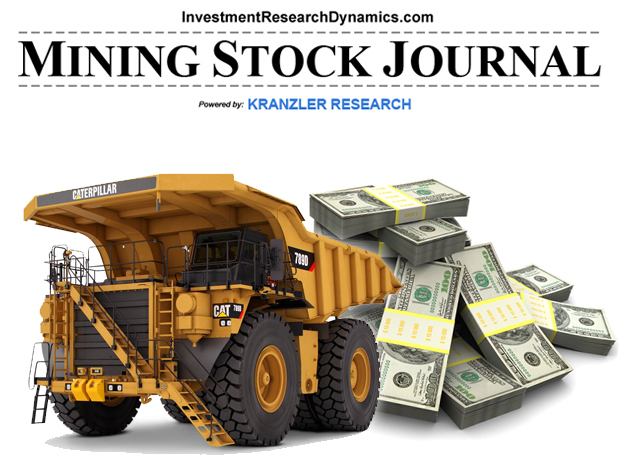 This weekly subscription newsletter provides insight to the economic and financial data not reported by the financial media and Wall Street. In addition to economic analysis, I present ideas for shorting individual stocks. Currently the path of least resistance to make money shorting is with retail and retail-related stocks. I also provide ideas for using options. 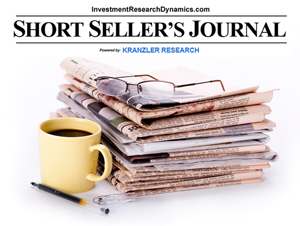 You can learn more about this unique service here: Short Seller’s Journal information. I think Jerome Powell indicated today he would like to delay a rate increase to mid year. If car loans are up while car sales are down, then its likely that people are trading in cars with bigger loans outstanding that need to be rolled into the new loans, along with taxes and extended warranties. 560 FICO score? no problem, just sign and drive. We know what’s coming, we just do not know when or how it actually plays out. except it will not be pleasant. Dave, what do you know about this ? Do you need any help (moving)? 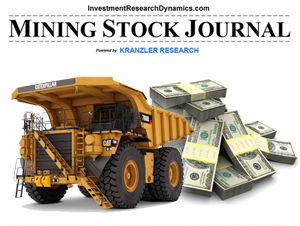 Great call on that stock you featured in the November 30th Mining Journal. I went in bigley and doubled my money over the last month. Stock was up huge today. Congrats..I seem to recall you loaded up too. I look forward to the next journal entry. Hey Pete – thanks for the kudos. This stock is STILL cheap. 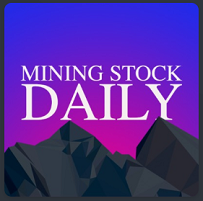 I’ll have more information on it in tonight’s Mining Stock Journal because I met with the Chairman/CEO on Monday evening. This stock could eventually go from $2 to $20.